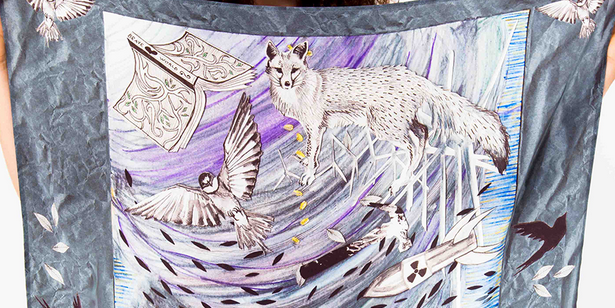 Hope and Hubris is a small Brighton-based label creating beautiful unique hand designed silk scarves, each with a story to tell. The first collection takes inspiration from Greek mythology, combining traditional stories and fables with everyday experiences such as overheard conversations. While these eye-catching designs could be displayed happily on a wall, they ask to be worn as a statement piece, helping your outfit stand out from the crowd.